Q: What do the following films have in common: The Avengers, The Hunger Games, The Dark Knight Rises, Skyfall, Lincoln, Les Misérables, Django Unchained, The Hobbit: An Unexpected Journey and Zero Dark Thirty. A: They all kept your tush planted for well over two hours. There's no doubt it was a spectacular year in film, particularly if you enjoyed sitting in your seat for looooong periods of time. Overindulgence ruled over succinctness as big name/prestigious directors got final cut over their studios. In some cases, it worked (Django Unchained), in others, not so much (Cloud Atlas). 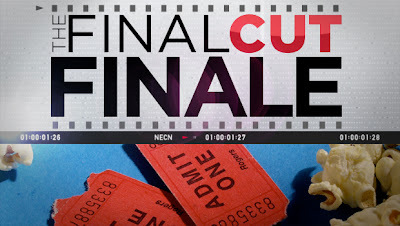 Without further adieu, I bring you the Final Cut's 2012 finale, the best of the best in a year that lasted an eternity at the multiplex. 12. The Cabin in the Woods - Gathering dust on a shelf for the past three years thanks to MGM's money woes, Joss Whedon and Drew Goddard's maniacal monster mash was finally unleashed, complete with the most insane ending this year – quite possibly ever. Mind-blowing. 11. Prometheus - Ridley Scott's return to the Alien universe brought the look of a video View-Master along for the ride into outer, outer space – you've never been immersed in a more vivid cinematic world than this. The pinnacle of escapist entertainment. 10. The Raid: Redemption - The Indonesian sensation was an electrifyingly kinetic kung fu/guns-a-blazin' action flick that had me shouting testosteronic screams at the screen. It's a pure shot of adrenaline that will leave you wanting to punch someone in the gut on the way out of the theater. In the nicest way possible. 9. Anna Karenina - Director Joe Wright's gorgeous - stunning - adaptation of the Tolstoy tragedy set the film as if it were taking place on a Broadway stage. Wright's creation was a thing of beauty with yet another standout performance from Keira Knightley. Though Wright will likely be left out of the best director discussion, his über creative work is worthy of inclusion. 8. Zero Dark Thirty - Director Kathryn Bigelow's scintillating take on the hunt for Osama bin Laden saw a stellar Jessica Chastain as the CIA specialist hellbent on bringing bin Laden to justice. But it's Jason Clarke who steals every scene as the agency's merciless interrogation expert, waterboarding and all. Yes, you know how it ends, but Bigelow keeps suspense in play with an edge-of-your-seat raid that capped the biggest manhunt the world has ever known. 7. Skyfall - What a way to celebrate 007's 50th anniversary with arguably the best Bond film ever. Sam Mendes elevated it all as Daniel Craig gave Sean Connery a serious run for the title of "Best James Bond ever" and Javier Bardem sneered away as the flamboyant, bleached-blonde cyber terrorist Raoul Silva – ascending to the top of the list of best Bond series' villains. And while we're on the subject of best, how about Adele's slinktacular title track? The best since Duran Duran's "A View to a Kill". 6. Jiro Dreams of Sushi - My favorite documentary of 2012 featured a $400 per plate sushi shop located in a Tokyo subway. Centered on an octogenarian consumed with attaining perfection, the film displays what dedication to craft truly entails. Director David Gelb's visual feast promises to have you parked at a sushi counter moments after the credits wrap – it's scrumptious. 5. The Intouchables - The tale of an odd couple becoming the best of friends and being all the better for it is incapable of being unliked. The highest grossing film in the history of France is a Chicken Soup for the Soul cinematic experience that leaves you revitalized and carrying a new found zest for life right out of the theater. 4. Argo - If there were any questions about Boston native Ben Affleck's rebirth, they were quashed with the exquisitely crafted Argo. The impeccably-paced political thriller affirmed the fact that Affleck is a towering force behind the lens. With a pair of superior supporting performances by Alan Arkin and John Goodman and a pitch-perfect, heart-palpitating conclusion to the proceedings, Affleck succeeds in spades in the year's most consistently entertaining film. 3. Les Misérables - Director Tom Hooper's miraculous rendition of the legendary musical redefined "epic". Hugh Jackman proved to be every bit the best actor contender Daniel Day Lewis is in Lincoln and Anne Hathaway is a lock for best supporting actress. Put aside your reservations about being subjected to song after song (there are 50 in all) and let Hooper's splendor wash over you. This is filmmaking of the most opulent order – par excellence. 2. Django Unchained - Quentin Tarantino's brutally violent but wildly entertaining slave-turned-bounty-hunter jacked up western features the four finest performances of 2012 within a single film. Christoph Waltz, Jamie Foxx, Leonardo DiCaprio and Samuel L. Jackson are all worthy of Oscar nominations. While it runs nearly three hours, it's one of the few films in a year of overlong productions that didn't feel that length – a testament to the ferocity of Tarantino's fantastically unmannerly concoction. 1. The Master - Unofficially based on the origins of the Scientology movement, Paul Thomas Anderson's blindingly brilliant character study features two of the year's preeminent performances as Philip Seymour Hoffman attempts to reign in Joaquin Phoenix's damaged eight-ways-from-Sunday soul. Phoenix's character is feral in the film's signature scene: Locked in a jail cell, slamming his skull into the bunk bed and smashing a toilet to pieces. Phoenix is frighteningly phenomenal – right there in one of the most competitive best actor races ever. While The Master demands an inordinate amount of patience and devotion, the reward is the most striking film of 2012 – a mesmerizing masterpiece. 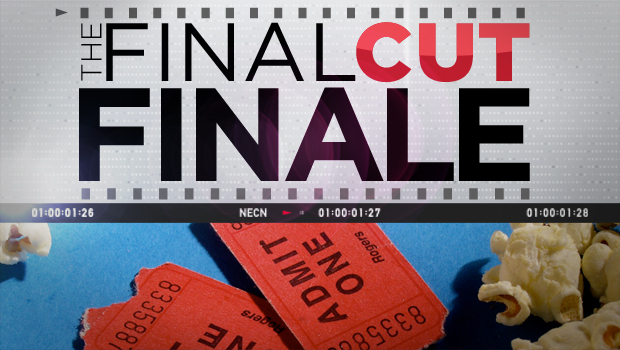 Coming Wednesday: The bottom of the barrel, The Final Cut's Fantastical Flops of 2012.